Get the facts and figures you need! Find out what managers are earning in your area and elsewhere. Did you know that community managers are earning an average of 23 percent more in 2003 than they were in 2000? Did you know that community association managers holding the PCAM® designation earn on average $21,086 more than community managers who hold no designations? Did you know that community managers administer services, on average, to seven associations and more than 1,500 units? 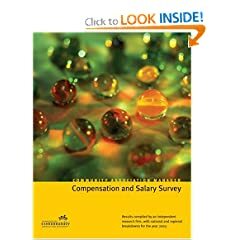 Learn more about these and other figures in this unique and extensive salary survey! This section details respondent profiles by geographic region and provides general organizational data such as the frequency of salary increases and staff appraisals and the use of technology.